USB drives are wonderful devices; instead of lugging your entire laptop around so you can have your important files on you wherever you go, all you need to do is save it to a device which is roughly the size of your thumb. Sounds like a lifesaving convenience, right? Unfortunately, as useful and handy USB drives are, they do not bode well against the elements, especially one particular element that has been proven to be any gadget’s worst enemy – water. It’s unavoidable and therefore can attack your USB drive at any time – whether you’re caught in a downpour and have your USB drive which is dangling from your keychain destroyed by rain or when you have your USB drive sitting on a table where it gets drenched by a knocked over glass, the feeling of devastation is the same no matter how you lose your important files to water. But the US3 will make it safe to get caught in the rain. Luckily, there is hope for those who want to protect their important files from the destructive elements. USAgreatbuys, a technology product development company co-founded by Sachin Doshi and Chitanshu Vora, has launched a Kickstarter campaign running from August 1 to September to develop a very useful and innovative product that is sure to be a worthy defender of USB drives from water. The US3 drive, in its prototype phase, will be a completely waterproof USB drive available in multiple sizes (8GB, 16GB, 32GB and 64GB) and colors (violet, blue, pink, yellow, black, and white). 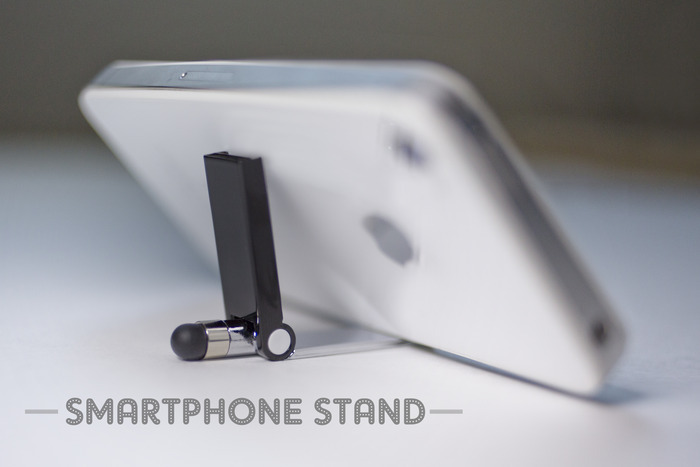 If that’s not enough to amaze you, then hold onto your hat as the US3 isn’t just a memory storage device; it will also function as a stylus for all touchscreen devices as well as a stand for your smartphone. Yes, it’s a 3-in-1 device! Seeing as this fantastic 3-in-1 product protects your files from the aquatic dangers of the great outdoors and indoors, you don’t have to worry about keeping it hidden which is why it will also come with a detachable keychain lanyard. Showing off your new and neat accessory which can withstand an accidental dip in the pool has never been so easy and worry-free. 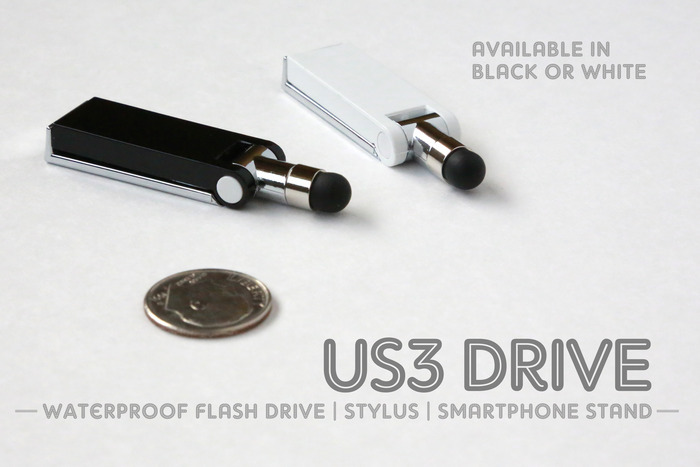 How can you get your hands on the US3 drive? Seeing as it is in its prototype phase, USAgreatbuys is seeking to raise $20,000 to produce the first batch, and those who pledge will receive a free USB drive (the memory size and color options depend on the pledge level). In order to make sure that this great product saves files and dispels data-lovers fear of water, support this product through Kickstarter. 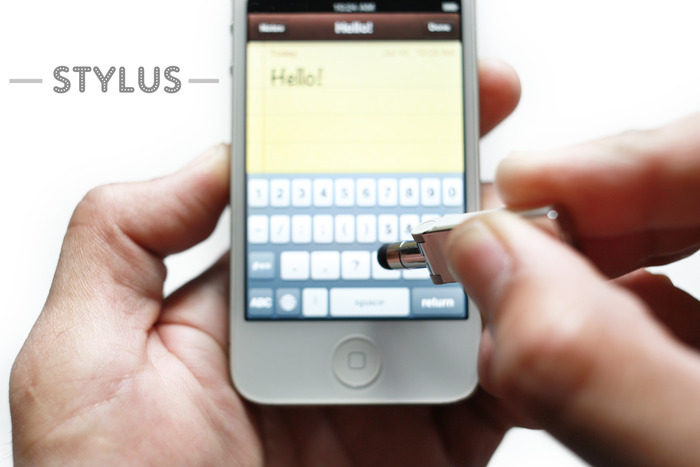 This entry was posted in USB Flash Drives and tagged smartphone stand, stylus usb drive, US3, USB drive, USB Flash Drive, waterproof USB. Bookmark the permalink.